We start of our new series GDC Gems* with writer Walt Williams, who at GDC 2013 explained how he critiqued the use of violence in games by making the violent game Spec Ops: The Line. *) GDC Gems are micro mortems based on some of the most fascinating GDC-talks our editorial staff has witnessed over the last couple of years. “In real life killing is an impactful act, it sticks with you. My grandfather remembers every life he took in World War II. In a game we have allowed killing to become mundane, run of the mill. When the narrative and the core mechanic are at odds with each other, that means your main character is a hypocrite. We need to accept that and we need to write them as such. Because your main character will never be more righteous than the core mechanic allows. Walker is called in to save people but he’s doing that by killing enough people to fill six hours of gameplay. Let’s be honest, hypocrisy is good drama! We don’t have to make the main characters likable. With Spec Ops we wanted to make the players feel as if character growth was occurring because of combat and we wanted to draw their attention to that. We wrote at least three lines of dialogue for every character at any given occasion. Each set of lines matched a certain tone, emotionally and mentally, for where they were at that point in the game. 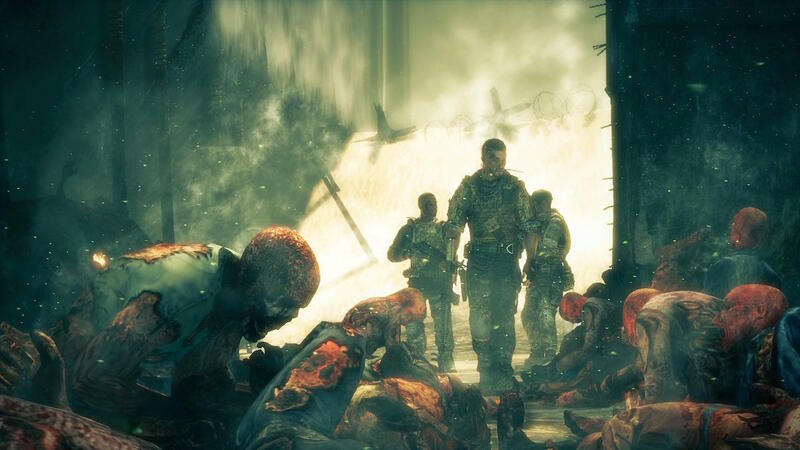 At the beginning of the game Walker was a professional, after that an authoritative commander and ultimately he ended up as an unhinged killer. The same action in all three stages go: “Target down” to “He’s done!” to “Cocksucker!”. What we did with the choices in Spec Ops was take the combat and slow it down, allowing it to focus on one specific moment where the player really had to think about using his gun and killing a person. We wanted to reinforce the power of the gun in their hands. Make the choice morally grey. In Spec Ops we had two ways of letting players judge themselves: Silent Judgement and Direct Judgement. In Silent Judgement the player does something inarguably wrong but there is nobody to witness it except for the player himself. It has to be optional and you shouldn’t punish the player for doing it. Let guilt do its work. With Direct Judgement the choice is clear, it’s right in your face, presented as a choice. At the end of the game the player is handed a gun and told to shoot Conrad or shoot himself. Don’t pick an ending for the player. This is his moment, he has to judge himself. It should give a unique outcome and above all closure.